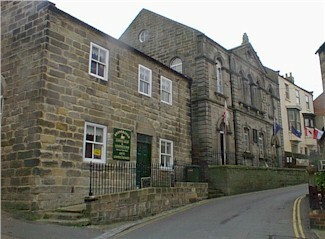 Housed in the old Methodist Chapel the Staithes Heritage Centre and Captain Cook Museum fills both floors of the large building on the right of the photograph above. The ground floor houses extensive displays of lives of the past residents of Staithes with particular reference to the Fishing Industry. Whilst the upper floor is crammed with literally hundreds, if not thousands, of exhibits from the life and voyages of Captain James Cook. This is a privately funded museum and there is a small entrance fee.